A chartered plane crashes in a remote African desert after colliding with a swarm of locusts. 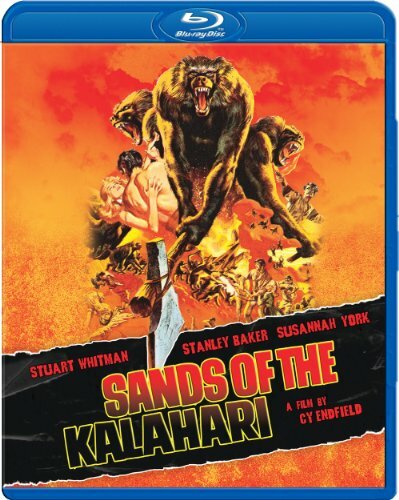 It's not the harsh surroundings or the vicious baboons that the survivors have to worry about, but a fellow crazed passenger.The stellar cast includes Stuart Whitman as a businessman and big-game hunter, Stanley Baker as a chain-smoking and alcoholic mining engineer, Susannah York as a beautiful young divorcee, Nigel Davenport as the plane's captain, Theodore Bikel as a doctor and Harry Andrews as an elderly German gentleman. A chartered plane crashes in a remote African desert after colliding with a swarm of locusts. It's not the harsh surroundings or the vicious baboons that the survivors have to worry about, but a fellow crazed passenger. The stellar cast includes Stuart Whitman as a businessman and big-game hunter, Stanley Baker as a chain-smoking and alcoholic mining engineer, Susannah York as a beautiful young divorcee, Nigel Davenport as the plane's captain, Theodore Bikel as a doctor and Harry Andrews as an elderly German gentleman. This was the sixth and final teaming of Baker and his Zulu director Cy Endfield. Directed by Cy Endfield A Paramount Picture Copyright © 1965 by Paramount Pictures Corp. and Embassy Pictures Corp. All Rights Reserved.